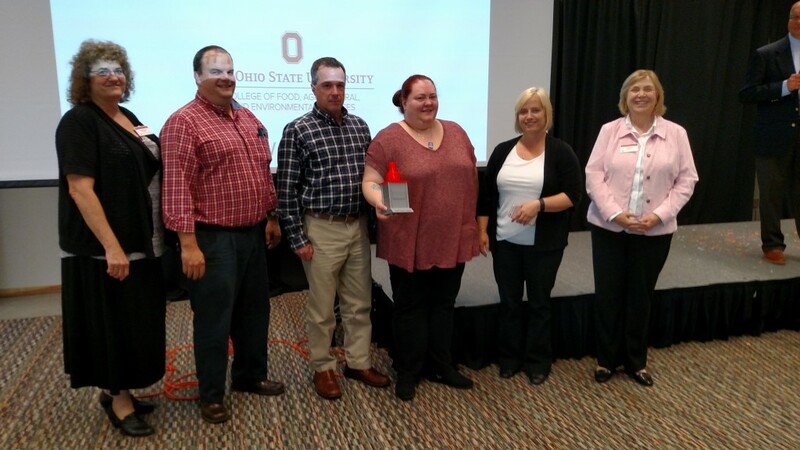 The inaugural innovateExtension event was held May 12th, 2016 on Ohio State University’s campus. Twenty-two teams and more than 140 participants vied for funding for their ideas, projects, prototypes, and concepts. 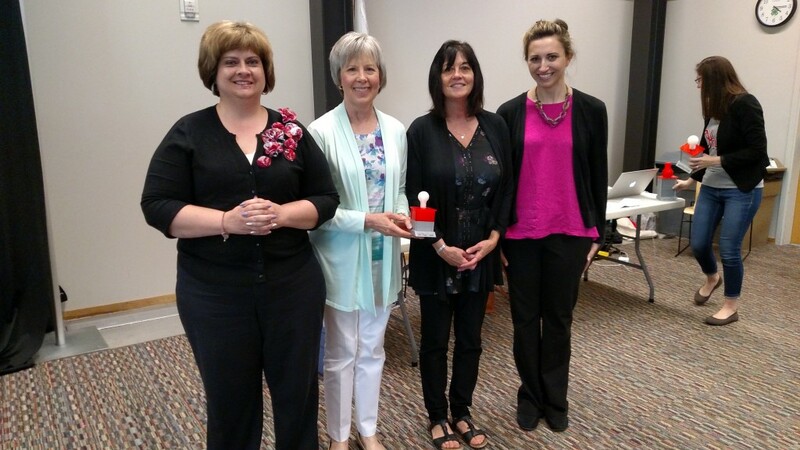 Honorable Mention: Dayta Dreamers (Debby Lewis, Amy Elhadi, Kim Showalter, Suzanna Windon | Coach: Kevin Gamble) Pitch: Hiring a web developer, housed in the PDE unit, to design a “data portal”. The portal would be able to accept various types of data and generate multiple types of reports based on the data that will be accessible by a broad range of employees. 3rd Place Team: Live Healthy Live Well (Pat Brinkman, Michelle Treber, Lisa Barlage, Joanna Rini, Beth Stefura | Coach: Alice Henneman) Pitch: Expansion of the Live Healthy Live Well social media programming into a text-based message campaign, also including brief YouTube videos and hashtag creation and use. 1st Place Team: Critical Conversations (Jackie Kirby-Wilkins, Jeff McCutcheon, Cindy Torppa, Lisa Siciliano-Miller, Laura Fuller, David Crawford, Debbie Brown | Coach: Daphne Richards) Pitch: Extension professionals are faced daily with having critical conversations with a variety of stakeholders (e.g., funders, elected officials, consumer, community partners, and families/friends). These conversations include relationship building, networking, collaborating, facilitating, mediating, and innovating. Critical Conversations provides a variety of resources (including Tool Kits and Skill Building) and strategies for developing competencies, comfort, and skills for addressing critical conversations. Didn’t catch the Periscope’d live stream footage from the event? Watch all of them on the OSU Extension Ed Tech YouTube channel. 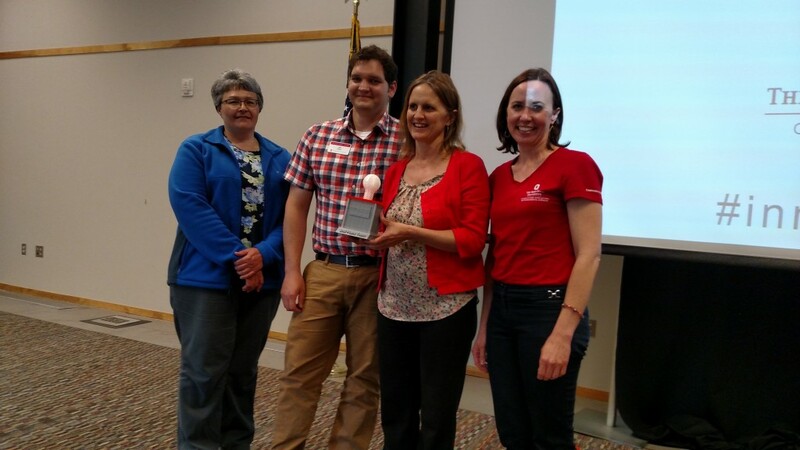 Posted by Jamie at 9:13am Posted in General Info, Social Media, Training and tagged cooperative extension, Innovate, Professional Development, Program Planning, Social Media. Bookmark the permalink. ← Innovate Extension May 11th & 12th: How Do We Participate?